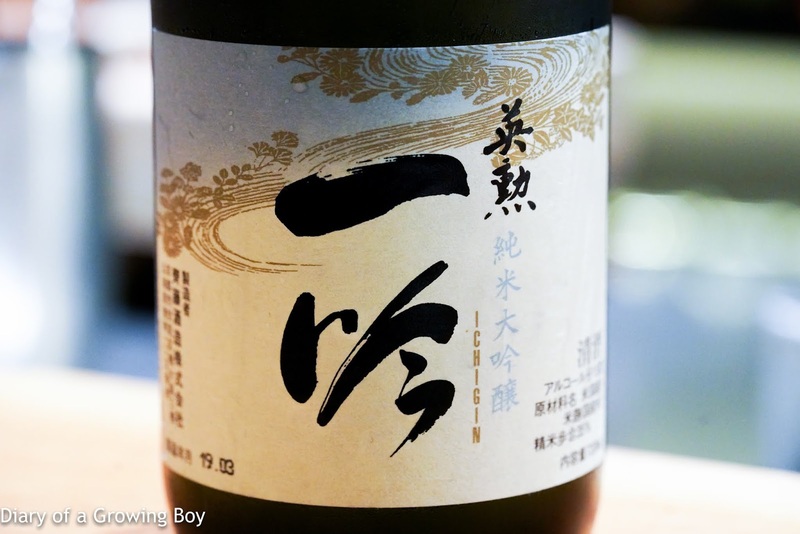 Eikun Junmai Daiginjo Ichigin (英勲 純米大吟醸 一吟), 30BY - seimaibuai (精米歩合) of 35%. The fermented flavors on the palate were a little strong. Slightly dry but elegant, so definitely tanrei (淡麗). Banana notes in the nose for sure. Serving it colder meant it became more elegant and less of the fermented notes.